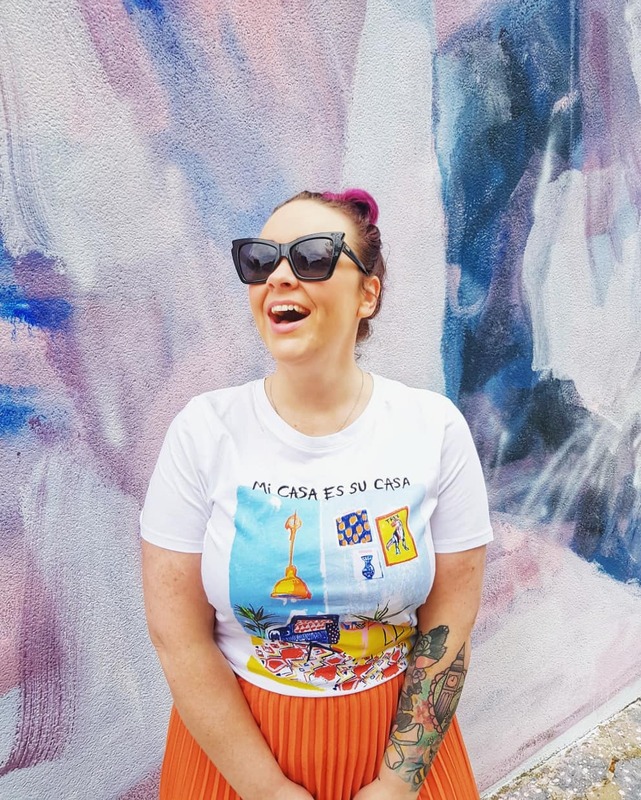 right, so what happened is that i was invited not once, but twice to some incredible chicken wing events in the last couple of weeks that - on both occasions, i was unable to attend. those who know me well know that i am a chicken wing fiend, and it's totally out of character to have to decline something as awesome as a wings event not once, but twice in as many weeks. when i explained this to the last inviter, explaining in great detail how if it weren't for the fact i had already purchased tickets to see my colleague perform as three different characters in our agency's satirical production of mcbeth at the local playhouse, i would have totally been there and yes - of course, participated in their great wing eating contest, she was all "oh, well that sounds awful and we can't have that; would you like some sauces instead?" and i kinda went, "well yeah, of course i'd like some sauces, thanks", and then two days later some frank's redhot sauce landed on my door step. 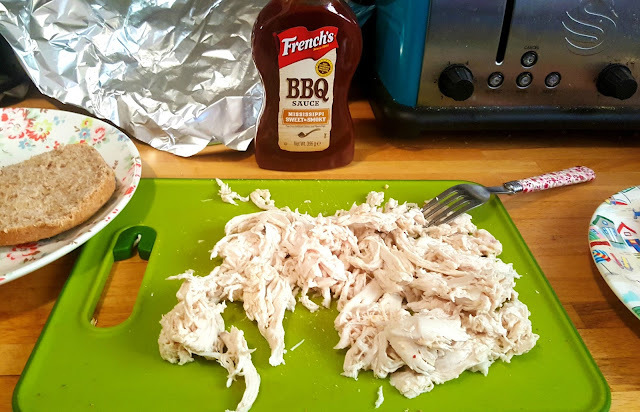 except, neither of my two local supermarkets sell chicken wings that don't already have some sort of sauce already on them, so, with some thought i decided i would use them on my second favourite chicken dish instead; i lined one pal up for a tasting session on saturday night, and set to preparing he and i some tasty pulled chicken burgers. and some miserable sweet potato wedges - because who the hell knows how to actually make sweet potato do anything than turn to mush? certainly not me. so i started by poaching some chicken breasts. i'd only done this once before, at a bbq at mike's house, and it seemed to go down well then so i basically decided to try that again, but just 'wing it' a bit with the sauces. my pal who was 'round for dinner had never seen chicken be poached and was very curious as to how the chicken would actually be cooked, so let me break it down for you in case you're wondering this yourself. it's basically the best way to cook a chicken breast and keep it moist (yuk) and cook all the flavours in (unless you have a sous vide, which, let's face it: no-one does), and perfect for pulling. start by melting a dollop of butter, a teaspoon of garlic, and a chopped red chilli in a big pot. once that's melted down, add a teaspoon of soy sauce and a few good shakes of the original cayenne pepper hot sauce to the mix, then fill about half way with water. pop the lid on that bad boy, and wait for it to boil. 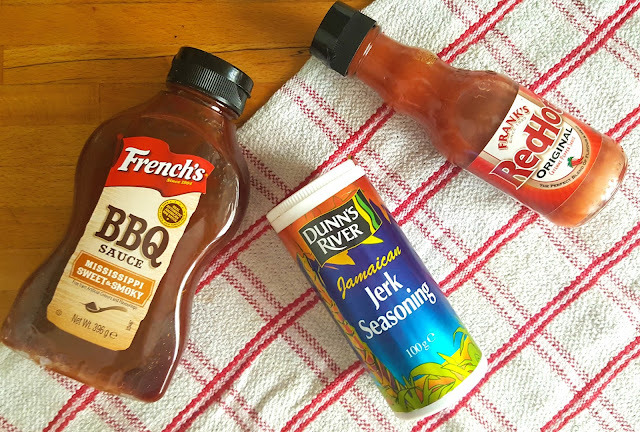 while it heat up, rub the chicken breasts with seasoning of choice. i rubbed some chilli flakes and jerk seasoning with a little bit of sea salt onto the raw chicken and wrapped in cling film while the water boiled. as soon as your water is bubbling, turn the heat off, unwrap the chicken, and pop the meat in the water. with the lid back on the pot and the heat off, the chicken will literally cook from the inside out, in the boiling, seasoned water. i usually leave it half an hour, but one of the breasts was a little thicker and still a bit pink so i popped it back in for another few minutes, as even after half an hour, the water was still steaming hot and continued to cook the meat the whole time. once you're satisfied the meat is done you just hold the meat with one hand while using a fork to scrape the tender meat away. et voila! pulled chicken! 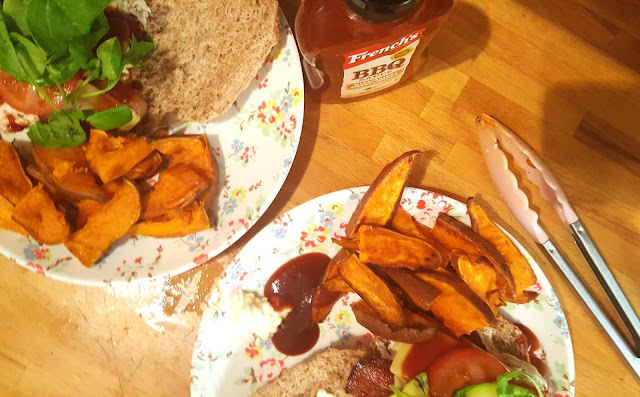 on some wholemeal buns we layered the pulled chicken with a few crispy rashers of bacon, fresh avocado, tomato and lettuce, then topped with another shake of the redhot, a squirt of some smokey bbq sauce and a little mayo, and away we went. i won't even dignify you with how badly i managed to make these sweet potato wedges, but the sad photo of them above sort of alludes to their demise. don't let anyone tell you it's easy to make them, because it's not. i've tried all methods; part boil, part cook, part fry, part grill - i just cannot get them crunchy! without a deep-fryer, how does one do it?! damnnnn, i make a good burger. and i will say this for the redhot: its name leaves a lot to the imagination. i was certain my mouth would be on fire after using so much of it, but actually, it left a really warm, tasty flavour on the lips, and in no way was too bloody hot. the smokey bbq was the real winner of the day, with a delicious honey aftertaste that really complimented the heat from the redhot sauce, and had me dipping all the soggy chips in to try and make up for the fact they were soggy chips. so, it's no wing-eating contest, but it was a damn good saturday dinner, that's for sure. 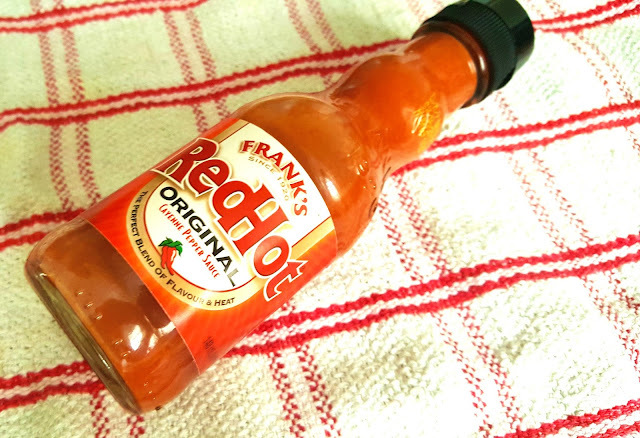 big thanks to frank's redhot for sending me some sauces to make up for the fact i couldn't make their amazing event - hopefully i'll see them at wingfest later this month instead! if you fancy trying this yourself, you can find your redhot here.